The promotions reflect the firm’s growth across multiple markets. Elise Ambrose, CID, IIDA, Interiors Project Manager: Elise manages the design and quality control of hundreds of high-end corporate workplace projects to support Fortune 50 clients. She also proactively mentors younger staff in the firm’s national design team to ensure understanding of a client’s design guidelines, culture, and business goals. Mark Bossard, AIA, Project Architect: Mark works closely with several complex science and technology clients like the Hormel Institute and Mayo Clinic. He was instrumental in the recent expansion of the Hormel Institute’s cutting-edge cancer research facility and Hormel Corporation’s Research & Development Laboratory. Dawn Brown, AIA, LEED AP, Interiors Project Manager: Dawn serves as the technical leader on a wide array of new construction and renovation projects. Her leadership was instrumental on several award-winning projects like Carvana’s Headquarters, Sprouts Farmers Market Headquarters and LifeLock’s offices, all located in Tempe, AZ. 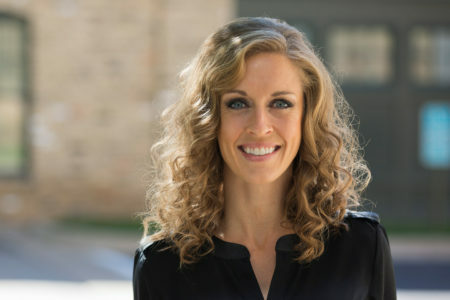 Jennifer Buck, AIA, LEED AP BD+C, Project Manager: Jennifer is the key point person in several key relationships for the firm including Junior Achievement, Minneapolis Institute of Art (MIA) and Xcel Energy. All three represent long-standing relationships and Jennifer has seamlessly stepped in to manage multiple projects. Mike Duffy, AIA, Project Architect: Mike’s inventive approach to design dives deep into a client’s needs, business and culture. As a result, he is an in-demand designer in RSP’s Phoenix office. Recent projects include First Place Residential Community, Minnesota Autism Center, and the Camelback Collective office building. Victoria Gerads, CID, IIDA, Senior Project Interior Designer: Victoria is one of the firm’s most experienced corporate interior designers, having worked on everything from ground-up corporate campuses to tenant improvements. John Larson, Project Manager: A leader in RSP’s science and technology group, John has managed some of the most complex projects completed by RSP for clients like LifeSource, Boston Scientific and University of Minnesota. Anne Nelson, LEED AP, Six Sigma Green Belt, Senior Interiors Project Manager: Anne has managed hundreds of corporate workplace projects all over the world. Her unique understanding of a client’s culture and business comes from having served as an on-site liaison for RSP design teams. Rhonda Rezac, FMP, Business Analyst: An expert in IWMS implementation, Rhonda is a member of RSP i_SPACE, a facilities management consultancy. She excels at collaborating with clients to customize their processes and tools making facility management teams more effective and efficient. Angie Robinson, SPHR, SHRM-SCP, Director of Human Resources: Angie provides the strategic and operational support required to align RSP’s human resources and business initiatives. She manages the team that provides HR support for more than 325 employees across five offices. Michael Brown, AIA, NCARB, LEED AP, Senior Project Architect: Michael is a key point person in RSP’s national design team, supervising a cross section of consultants and vendors throughout the CD and CA phases. He manages multiple projects at a time, all over the world and recently served as a team liaison in the firm’s India office. Sharon Brown: Sharon is the administration assistant to RSP’s Managing Principal in Phoenix. She manages the office, serves on the firm’s equity and diversity committee, and promotes wellbeing initiatives. Scott Klopfer, AIA, NCARB, Project Architect: Scott plays an important role on RSP’s retail team, managing relationships with client project managers, designers, and engineering consultants for major remodel projects across the country. Mark Litschewski, AIA, LEED AP, Project Manager: Mark manages the relationships between the client, designers, strategic partners and consultants for the national design team. Paula Nyquist, CSI, CCS, RRO, Specifier: As a certified construction specifier, Paula provides technical support, evaluates and researches products and assemblies, and supports design teams during construction. She recently became a Registered Roof Observer. Mary Pumarlo, Job Captain: Mary is the Building Information Modeling (BIM) lead for RSP’s retail team focused on serving Target Corporation. She also supervises a group of technicians working exclusively in Revit, improving visualization, collaboration and workflow on multiple retail store projects. Jay Richardson, AIA, LEED AP, Senior Design Architect: Jay has specialized in retail design for nearly 20 years and currently is RSP’s lead designer on store remodeling projects. He works closely with a client’s in-house architectural team to develop preliminary design concepts. Steve Schierenberg, RA, LEED AP, Project Architect: Steve has 15 years of experience on a variety of project types including higher education, health/wellness, recreation/hospitality, corporate, and mixed-use. Recent work includes the renovation of Arizona State University’s Grady Gammage Memorial Theatre and Northern Arizona University’s International Pavilion. Becky Sonmore, Interiors Project Manager: Becky is a technical lead in the national design team, conducing field measurements, documenting existing conditions, generating test fits and space plans. Her involvement on projects includes construction administration. 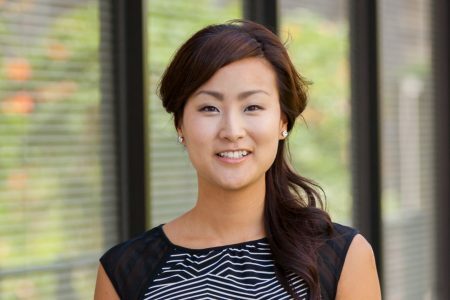 Erin Yi, Project Interior Designer: Erin has experience in a range of interior project types including corporate workplace, hospitality and education. Recently, she’s been instrumental on several projects designed to serve young adults in the autism community. Liana Zastoupil, CID, NCIDQ, LEED GA, Senior Project Interior Designer: Liana is involved in corporate workplace projects from programming and conceptual design through to construction and occupancy. As part of RSP’s national design team, she works on a multitude of renovations and new constructions projects across the country.